Hello and welcome to our March newsletter! We are looking forward to another busy couple of months following the success of our two March lunches. We hope you are all looking forward to an early Easter this year and keep some room after all those lovely chocolate eggs for our ladies lunches. If you haven’t already done so, you could win some lovely Lindt chocolate eggs by entering our competition to guess how many eggs are in the jar, by visiting our Consortium Competition here. Hurry though as the Competition closes on Tuesday 3rd April at 9am! We hope you enjoyed the sell out Brighton & Hove lunch on 13th March and the Eastbourne lunch on 23rd March. We’re looking forward to more exciting lunches throughout April and May, with our Worthing lunch at Casa Ciro on 11th April, our Brighton & Hove lunch at the Ginger Pig on 8th May and our Eastbourne lunch on 18th May - these are already selling out fast so please book soon to avoid disappointment! Please see the bottom of the newsletter, for a list of all of our remaining dates for 2018 which are bookable. We have no membership fees and no long-term commitments – just good food, good company and networking. We hope you can join us! 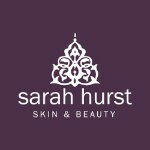 Our next Brighton & Hove lunch will be on 8th May sponsored by Sarah Hurst Skin & Beauty hosted at The Ginger Pig Pub, we are expecting a sell out so be sure toBook Your Ticket. Consortium Business Solutions are proud to be sponsoring this year’s ‘Where Cricket Meets Ladies day‘. We are also delighted to announce that Sussex Cancer Fund are this year’s charity for the event. Celia Delaney, musical comedian, will be the special guest and will be performing her ‘Man Wanted’ set.So join us for day 1 of the Specsavers County Championships for Sussex v Middlesex and enjoy a 2 course lunch, with charity auction and heads and tails. This entry was posted in Uncategorized on March 27, 2018 by Jacky Holmes.